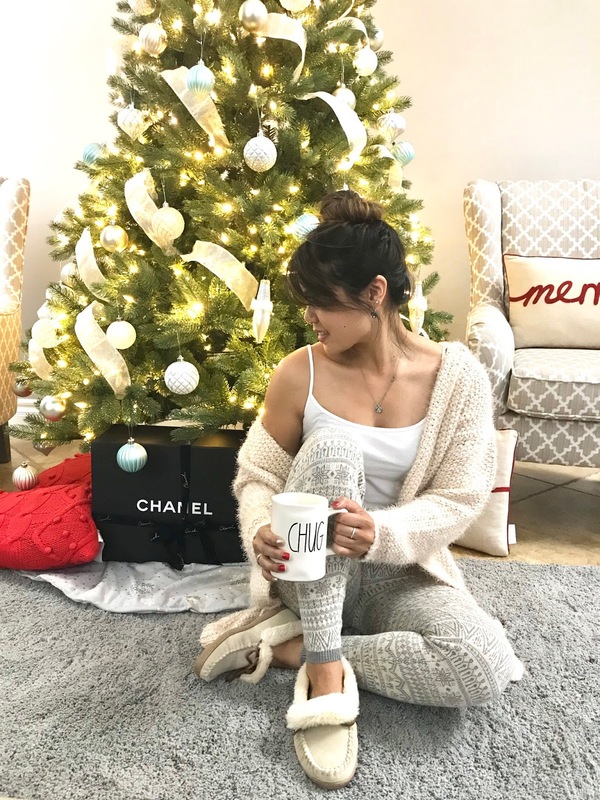 Part of the reason why I love the Christmas season is because it’s totally acceptable to stay in cozy holiday pj’s all day long. This is what most of my weekends and upcoming vacation will look like: hot chocolate (with big marshmallows), faux moccasins and a cozy fire in my holiday jammies. 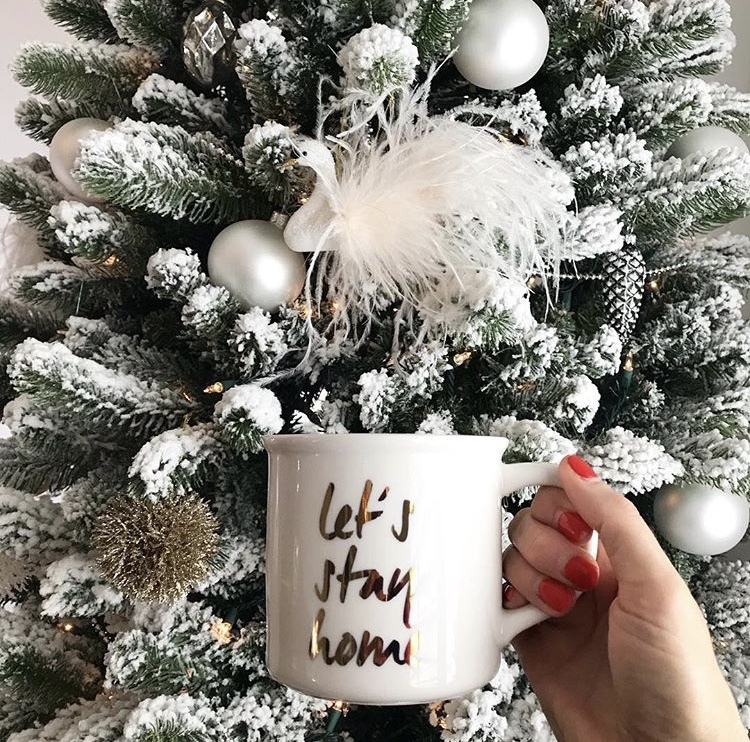 I just want to cuddle up and do Christmas things all day long (yep, cheesy, I know). Is there anything more Christmas-y than sipping on hot cocoa by the fire place? When it’s cold outside, that’s all I crave. This is probably Brady’s favorite part about the holiday, hot chocolate! Add some marshmallow and a candy cane or cinnamon stick and drink it in front of your fireplace or your lit up christmas tree. I’m excited to make hot cocoa from scratch this year. The Pioneer Woman has a hot chocolate recipe that I’m dying to try. It’s seriously making my mouth water. This is my all-time favorite thing to do around the holiday, curling up under a blanket to watch a Christmas movie. I watch Christmas movies all year round but now I have even more of a reason to watch my favorite movies. I remember cutting out snowflakes as a child and I loved every second if it. Unfortunately, it doesn’t snow where I live so this is as close as I will get to snowflakes (without making a 2 hour drive to the mountain). You can hang them in front of a window, on your tree or at your desk. For Martha Stewart paper snowflakes, click here. For elegant paper snowflakes, click here. For easy 6-pointed paper snowflakes, click here. Do you know a better way to get into the holiday spirit besides listening to Michael Buble Christmas on repeat?? Because I sure don’t. There’s also the Michael Buble (Holiday) Radio on Pandora, which I started listening to after Thanksgiving. I can’t get enough of it. Then send it to everyone you know! There’s something about baking fresh cookies that always gets me in the Christmas mood. One of my favorite things to do Brady is bake chocolate chip cookies because I want it to be memory that he will always remember. Whether it’s the smell wafting through the house or the taste of warm and gooey cookies straight out of the oven, we just love it. There are soooo many holiday cookie recipe to choose from, I think we are going to try these gingerbread trees with lemon icing this year. I hope they turn out as pretty as Martha Stewart’s. Spread some holiday cheer and send out your Christmas cards! Snail mail is practically nonexistent these days, which makes hand written cards that much more special. And what could be better? Hand-made cards! I love making my own Christmas cards, I feel like people appreciate the time it took to make them, especially with a hand written note to go along with it. Sometimes just the smell of Christmas can get you in the mood. 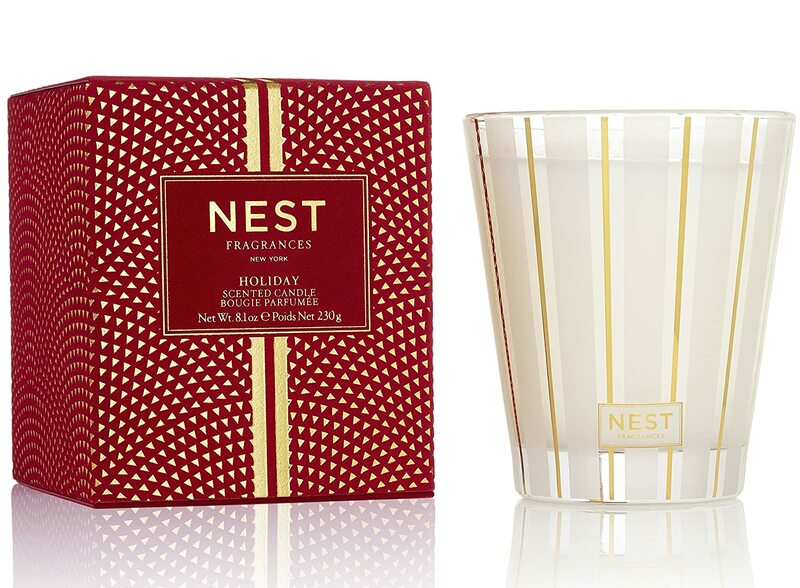 Nordstrom has the best yummy-smelling candle right now, Holiday Classic Candle by NEST. It’s actually voted one of the best Christmas candles of the holiday season. Deck yourself out with red and silver polish this holiday season. These colors are Red-y, Set, Run and Game of Chromes miracle gel by Sally Hansen. They are both favorites of mine. If you want to get fancy, check out this simple tutorial for adding glitter to your nails. What about you guys? How do you get in the Christmas spirit?